For being such a small piece of plastic, there are a lot of important features and details surrounding credit cards. And most Americans have never learned all of the details. So, take the next couple of minutes to read through the facts; the knowledge could save you quite a bit of money. Credit cards have been around in the U.S. for nearly 100 years. Starting out as a marketing tool for gas stations, hotels and department stores, the cards helped companies build loyal customers. But over the years, credit cards evolved into more than just loyalty programs – they have provided consumers like you with a convenient payment method. And with technology developing at a quicker rate than ever before, we have a feeling that the evolution of credit cards is nowhere near over. Unfortunately, as credit cards continue to evolve, the complexity of credit card terms has increased over the years. This makes the convenient payment method one that can be confusing, and, if used incorrectly, costly. Credit Card Numbers: Ever wonder why there are so many numbers on the front of your credit card? They are actually there for a specific reason – the first indicating the major industry that issued the card (gas, bank, clothing store) and the next five digits indicating the specific issuer. Magstripes: Ever wonder what the stripe on the back of credit cards is for? That stripe is how stores know where and to whom to charge purchases. The strip is magnetic and sometimes can be demagnetized by purse clasps, so if you get a new purse and your card stops working, your handbag might be the culprit. Purchases: Cardholders are now able to use their credit cards to make purchases in person, over the phone and online. Your credit card covers the cost of the purchase until it’s time for you to pay your bill, which typically is due in 21 days. Keep in mind that many credit card companies now post monthly payments online, so if you do not receive a paper statement in the mail, be sure to check your online account so you do not get charged a late fee. Payments: Not only do consumers have various options for purchases and statements, there are also a couple of options for making credit card payments. Typically, you’ll pay by check or online. You also have the option to make a minimum payment, in full or somewhere in-between. Keep in mind that you’ll be charged interest if you don’t pay the full balance and you’ll be charged fees if you don’t make at least the minimum payment. Also, if you have a rewards card, you won’t be awarded your points until you make the payment. Interest Rates: Interest is the price that you pay for borrowing money, and is presented to cardholders in a number labeled as the APR (annual percentage rate). But unlike other types of credit, with a credit card you actually usually have the ability to avoid paying interest. You can do this by paying your balance in full each month and by avoiding the temptation of using your card for a cash advance (most cards will charge interest beginning immediately when you use your card to withdraw cash). Now that you know your stuff, you’re ready to pick the right card for your wallet. With so many options available, it can be an overwhelming choice. But if you keep your focus, it doesn’t have to be so difficult. Ultimately, the most important feature of the credit card is going to be the cost. So, set your sights on the interest rates and fees and the rest of the details will settle into place. Take a moment to check out your credit, so you know where you fall into the credit spectrum. If you have excellent credit, then you should look for cards with the lowest rates. If your credit is average, be prepared for a credit card with a slightly higher rate. Consider your lifestyle when choosing a card. If you enjoy traveling, you may want to review travel rewards credit cards. If you have a long commute, then you may want to select a card that offers rewards for gas purchases. With so many rewards and cash-back offers, you’ll want to find a credit card that offers the best benefits for you. Review all of the rates and fees prior to applying for the card; credit card companies are required to show this information upfront so you know all of the costs before adding the card to your wallet. When reviewing rates, be sure to look at all of the rates: purchase, balance transfer, cash advance and penalty. If rates are labeled as “introductory,” the rates are a temporary deal, so continue reading so you know what the rates will be after the beginning period. When you get your card in the mail, review the cardholder agreement too. This will ensure you not only know the costs but also the payment information and terms and conditions. If you still feel overwhelmed by your options, be sure to use the tools and information provided by credit card comparison sites like CreditDonkey. These sites help you narrow down your options and layout the features and benefits so it’s easy to compare. Looking to get a starter credit card but not sure where to begin? 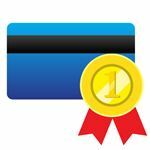 If you're new to credit cards, need a refresher, or you always let someone else take care of your accounts until now, help is here. 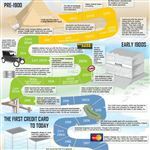 Share on Facebook "How Credit Cards Work: Credit Cards for Beginners"